Run your favorite applications, game and other mobile (android apps) with latest BlueStacks App Player 2016. 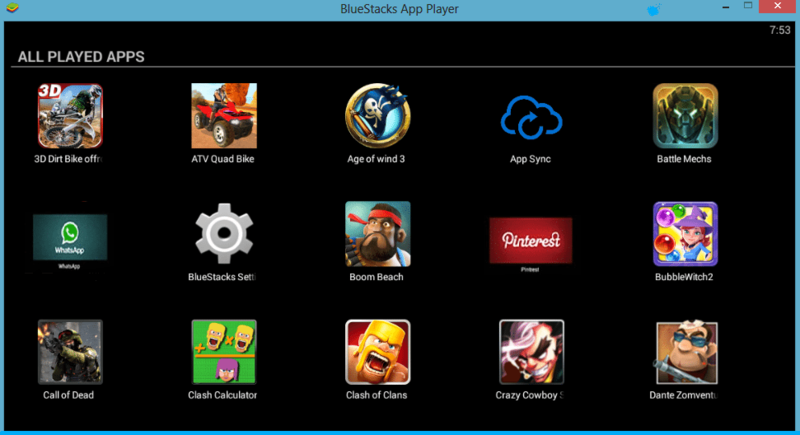 This is offline setup installer of BlueStacks2 latest version. Are you looking for a reliable solution to play android games, books, multimedia and other desired application’s on Computer.?? Yes, BlueStacks latest 2016 is your spot to do the same. Enjoy your favorite apps at wider screen on a laptop, desktop PC or Mac by using browser installed at device. 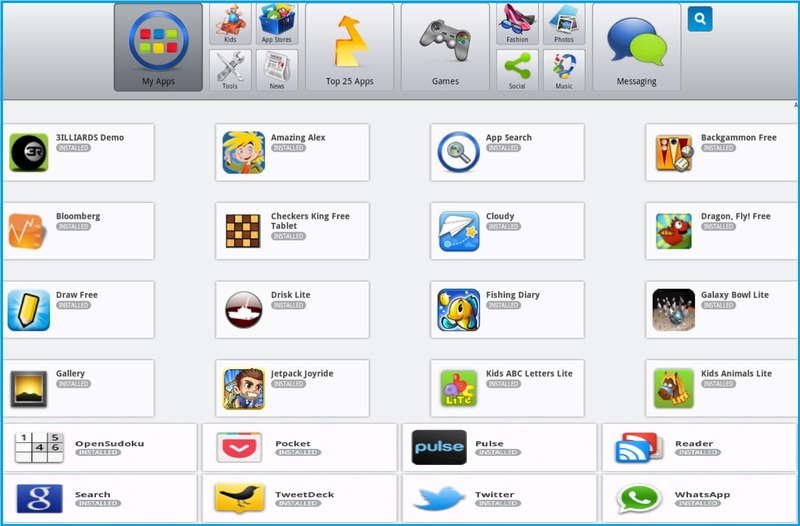 BlueStacks App Player comes in multiple flavors like BlueStacks Rooted and BlueStacks 2 to provide more versatile platform to fulfill user’s android emulation needs. With a comprehensive software engine to provide a fully flexible and customizable workspace, suite is one of the best solution to give PC an android device touch. Another important aspect is, its integration with Google Play Store to provide millions of applications just on a single click away. Users can install and use this product on any modern OS with support for multiple languages. After installation BlueStacks App Player Latest is ready for configuration to setup different social media platforms for user, like Facebook, Pinterest, Twitter and others. One may signup for Google Play account or sign in, an existing account to access millions of apps just on browser desktop. Customization with user interface is one of the most talked about and liked feature of this amazing app running solution which serves as an android emulator for PC. 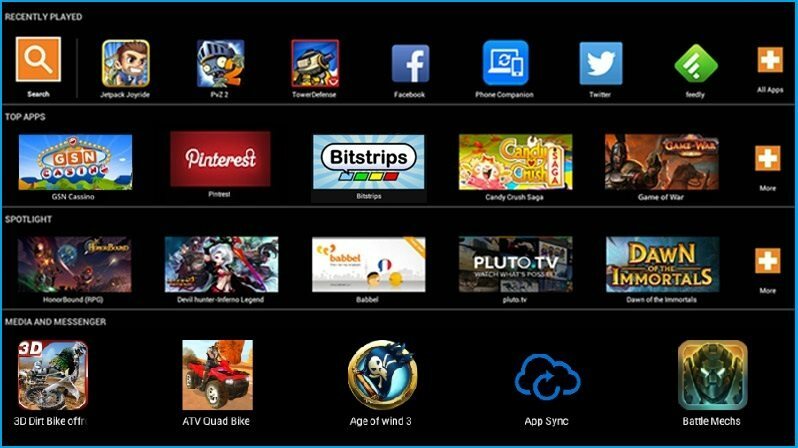 BlueStacks cloud connection is also an immaculate feature to be noticed, which allows a user to connect through the phone or android device with sync options. BlueStacks App Player is quite easy to set to operations, both beginners and experts are addicted to this suite just because of its simple management interface and one click access to all latest apps on Windows desktop. System requirement is required to be checked to this tool to perform on your machine, specially 2 GB is the minimum RAM requirement for this application suite to live freely and reveal its features in full. There are pre-loaded applications of your need which are accessible from UI. Latest version is good in playing updated applications with amazing speed and in full screen quite smoothly. There may be other emulators for android apps but BlueStacks is known for its user dependability and customization options. This great tool is loaded with tons of features, while below we list some of them, to get an idea what else this amazing suite is blessed with. A safe solution to run mobile apps on Windows platform. Access your favorite social media platforms on big screen, as an example Facebook Lite version is not available for desktop computers, but this software would let you install and use this amazing social media application, hassle free on a PC or Laptop. Customization can be made to user interface to set it up as desired. Serving needs, as an Android emulator. Cloud technology lets a user sync apps from phone to PC. Easy integration with Play Store. One click access to huge bulk of newly developed games and other products for android devices. 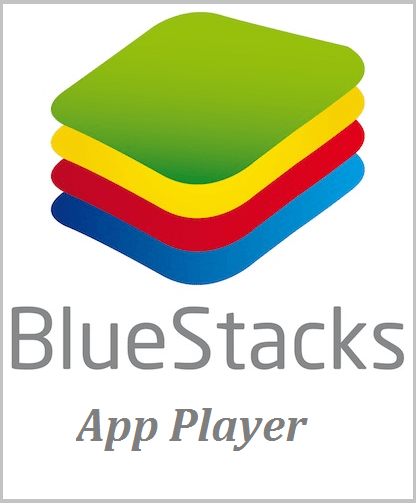 Product Name: BlueStacks App Player (2016). Compatibility: Windows 7, Windows 8, Windows 10, Windows Vista. (32 Bit, 64 Bit systems). System Requirements: 2 GB RAM, Graphics 64 MB, Processor 2.0 Ghz or Higher. Updated Here on: 16, February 2016. BlueStacks is a way to download and play the applications you ever desired to run on Windows platform with same efficiency and performance like an Android. UI is loaded with all famous applications, plus missing ones can be added, simply and hassle free from Google Play store. Hence for enjoying un-interrupted gameplay, media conversion, app sync and socializing, our preferred choice would be BlueStacks2. Just a single click on button below would let you download BlueStacks2 latest application free, which is compatible with both 32 bit and 64 bit Windows based operating systems.